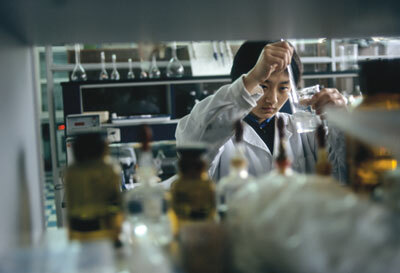 Japan continues to lead the Asia-Pacific in research output. But it could be overtaken by China in the coming years. The top institution in the region in 2012 was The University of Tokyo, but it will almost certainly lose its crown to the Chinese Academy of Sciences (CAS) in 2013. Indeed on a rolling 12-month window to mid-March, the CAS has a substantial lead. These are the lead conclusions of the 2012 Nature Publishing Index (NPI) 2012 Asia-Pacific, published today in Nature. • The region’s scientists are publishing more high quality basic science than ever before: more than 28% of articles published in the high quality Nature research journals have an author from the Asia-Pacific region, compared with 19% in 2008. • Japan’s publication output increased despite the diversion of resources into rebuilding infrastructure after the 2011 earthquake and tsunami. • China is still in second place, but it is growing faster than Japan and may take first place within a couple of years. Most Chinese institutions in the Asia-Pacific top 200 improved their ranking in the past year. • Australia is in third place, and leads the region in earth and environmental science publications. Its top institution, the University of Melbourne, rose to sixth in the Asia-Pacific region. James Cook University in Townsville continues to be the fast improver, up at 30th in 2012 from 351st in the region in 2008. • South Korea sits firmly in fourth place with almost double the output of fifth-ranked Singapore. Its publication output dropped slightly in 2012, but new president, Park Geun-hye, plans to increase investment in R&D as a proportion of GDP to 5% by 2017. • Singapore had the greatest proportional increase of any of the top eight countries over the year. The National University of Singapore is the highest ranking institution in Singapore. • This year, Taiwan consolidated the sixth spot, ahead of India and New Zealand both of whose output dropped slightly. The NPI Asia-Pacific 2012 has been released as a supplement to Nature today. It measures the output of research articles from nations and institutes published in the 18 Nature-branded primary research journals over the calendar year. The supplement provides a snapshot of research in the Asia-Pacific in 2012. To see the latest results for the region, and the Nature Publishing Index Global Top 100, visit the Index website at www.natureasia.com/en/publishing-index/. The data posted on the website is updated every week with a moving window of 12 months of data.